Thank you for checking into this often misunderstood and confusing medical condition with us at Cannabis Animus. Since so many of our members and customers are trying to cope with fibromyalgia, I’m happy to provide some more information on the subject and hopefully pave a path for some of you and your loved ones to follow if you are ready to try what we all feel is critically important to treatment. Only a few decades ago, fibromyalgia was rarely discussed. Now it affects between 5 – 10 million people in the U.S., and it is said to have become among the primary rheumatoid diseases diagnosed by physicians today. My research on the subject reveals that due to the rather subjective symptoms described by patients (as opposed to clinically tested), it has historically been questioned by physicians themselves. Apparently, it was commonly determined that fibromyalgia may not be a ‘real’ condition. Descriptions of patients using the symptoms as a reason to seek prescription medications for pain and/or anxiety and depression were noted. Today, scientists and researchers are getting closer to understanding fibromyalgia. Clearly, the more doctors that begin accepting this diagnosis, the closer we will get to treating this terrible condition more effectively. In the meantime, CBD (cannabidiol) has become a focal point for a more natural/non-drug treatment showing increasing anecdotal evidence of success. Fibromyalgia symptoms are generally characterized by increased over-sensitivity to pain. Even the surface of the skin can become painful to the touch. Areas of heightened sensitivity and pain are referred to as trigger points or tender points. Common areas of sensitivity and pain include back of the head, shoulders, chest, elbows, hips, and knees. A combination of lifestyle and genetic factors may be involved in causation, but that covers most anything. It has been found that people who suffer from fibro symptoms may also be experiencing any one of the following. It is currently believed by the majority in the medical community that these symptoms of fibromyalgia will be experienced by those afflicted to some degree for the rest of their lives. Other than introducing recommended CBD (cannabidiol) to the patient’s daily regimen, conventional fibromyalgia treatment consists of a combination of prescription medications like opioids for pain, duloxetine (Cymbalta) and milnacipran (Savella) for depression, gabapentin (Neurontin) and pregabalin (Lyrica) which are anti-seizure drugs that some physicians are prescribing to fibro patients. Low Dose Naltrexone (LDN) is also being prescribed. Probably, one of the reasons you are reading this is because so much is being discussed today about the use of CBD hemp oil and other CBD products to successfully treat fibromyalgia symptoms. It is clear from our members at Cannabis Animus, visitors and people with whom I interview that their experience and recommendation regarding CBD is strong and very positive. In fact, CBD is described by many patients who have tried CBD therapies describe it as the best medication to reduce intensity of their symptoms the most. They describe their lives prior to CBD use as constant pain, extreme fatigue, and generally feeling like their entire body is on fire. Now they find relief with daily consumption of organic CBD hemp oil and without the unwanted side effects of prescription medications. Patients say that this pain and fatigue leads to depression and ensuing prescriptions for medications that carry multitudes of unwanted side-effects. No wonder why so many are seeking CBD as an alternative, and some have weaned themselves completely off of prescription meds. CBD has the benefit of being a completely non-toxic substance that is a natural extract of Cannabis (most often from the hemp plant species). It is 100% natural, non-addictive and non-psychoactive and has no other side effects. CBD is a powerful anti-inflammatory and pain reliever that often works when other prescription meds will not. In order to understand why CBD is causing such excitement for patients today, it’s important to understand more about our body’s natural, internal regulating system called the Endocannabinoid System (ECS). Without a healthy ECS, it doesn’t appear possible to achieve success in the treatment of fibromyalgia and related neuropathic diseases and conditions, not to mention cutting down or even eliminating dangerous and addictive opioid medications. Our endocannabinoid system (ECS) is often described as a highly complex network of receptor sites and cells that produce Cannabis-like molecules. When in balance (homeostasis) the ECS also helps regulate pain, immune system, inflammation, mood, sleep, and even reproductive vitality. One of the main functions of the endocannabinoid system is often described “regulator” that interacts with the immune system, central and peripheral nervous system, cardio/pulmonary and aforementioned reproductive system. It is when our ECS itself is not in balance, our other interconnected systems suffer and symptoms arise. Clinical Endocannabinoid Deficiency Syndrome (CEDS) is theorized by neurologist and psychopharmacology researchers like Dr. Ethan Russo as a possible cause of many neurological pathologies like fibromyalgia. Neuropatic diseases like fibromyalgia are now becoming more commonly treated with CBD therapies. Alzheimer’s, ALS, Type II Diabetes, Epilepsy, Fibromyalgia, Irritable Bowel Syndrome (IBS), Migraine, MLS, and many more serious conditions have been attributed to neurotransmitter deficiencies. Dr. Russo recommends the cannabinoids in Cannabis (like CBD) for boosting endocannabinoid production. Untold thousands of these patients describe highly positive results after introducing cannabinoids like CBD to their bodies. It has been shown in scientific studies all over the world that a corresponding lack of endocannabinoids leads to “predictable clinical features” that are not healthy. Because CBD is broken down and completely utilized by the body in 6 to 8 hours, it has been difficult for researchers to find a more non-invasive and less-costly way to measure endocannabinoid levels in the body. But the results from patient studies are consistent. 7. The proven benefits of CBD remains virtually ignored by our Federal government’s miserable attempts at lowering the out-of-control costs of medical insurance coverage for Americans and undocumented immigrants. Well, first of all, I’m concerned about the high volume of CBD products marketed that are not only not worth the cost, but far worse. They are not made in a responsible way. So, what I want to share from my personal experience from testing almost 100 products to this point in my work that not all CBD products are worth purchasing, much less putting in your body… topical CBD and hemp products don’t appear to be an issue – no concerns so far other than an allergic reaction to an additive that has nothing to do with cannabidiol. Well, yes… And for a deeper dive into why nanoscience has taken the lead in new and more efficient delivery systems for cannabidiol, please consider taking a look at my new article here at Cannabis Animus called “CBD and Nanotechnology“. The question of how much CBD is right for you will depend on a number of factors. 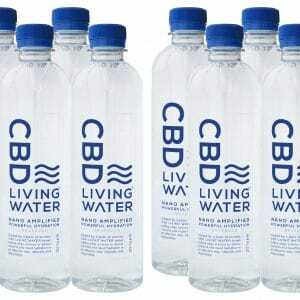 The first of which is recognizing the fact that CBD remains in your system for 6 – 8 hours and is completely utilized. This means that for most fibro patients the optimum dosage should be delivered twice per day if possible. The dosage of CBD for adults is commonly agreed to be about 20-25 mg. This is why you will find most products available at this dose although others like gummies typically have lower doses intended for children who may not require more than 8-10 mg per dose. Surely, it is time for the medical community, government legislators and regulators to wake up and finally recognize the elephant in the room, and completely dismantle the War On Drugs apparatus and propaganda machine against medical research into the health benefits of Cannabis and CBD in particular. The business community is already embracing Cannabis as well as 44 States in the U.S. that have legalized Cannabis in one form or another while 4 States have already made it legal for adult use regardless of medical necessity. If the People of The U.S. truly want to reduce the cost of healthcare in America, they will simply re-write the rules on Cannabis. It’s very simple really. The difficulty lies in the fight against deep-pocket, established interests such as Big Pharma, Big Agra, Petro-Giants, the AMA and lobbyists. But all of them are rendered impotent if we can get our elected officials to represent us accordingly. Do you suffer from fibromyalgia or know someone who does? Please don’t go without letting us know about your experience below. Very encouraging information for those who suffer from fibro. In your recommendations, you mention nano-CBD as being ideal, but are there traditional (non-nano) products that you’ve also found success with? Regarding fibromyalgia patients, I only recommend CBD Living products because not only do I use them myself daily, our members/patients report far superior results from nano CBD. That said, I do recommend (and offer for sale) CBD Pure 600 as your site does. My reasoning is to simply offer an alternative at a lower price point for those who prefer it for whatever reason.